Casale del sole is situated in a hilly location with a magnificent view of Todi. 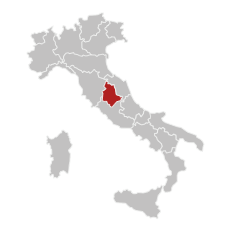 It is in one of Umbria’s most beautiful areas, around 10 minutes from the centre of Todi and just over half an hour from Orvieto (38 km). The property is well connected with the E45 motorway, accessible in 10 minutes by car (10 km) which gets you to Perugia (49 km) and its airport (51 km) in around three quarters of an hour. It is also possible to get to Rome (144 km) in an hour and a half, and its airports (Ciampino 162 km and Fiumicino 179 km) in less than two hours via the E35. 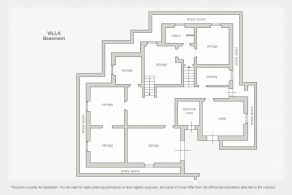 The farmhouse has two floors and measures 403 sq.m in total, with the living space on the ground floor and the storage areas and garage on the basement floor. 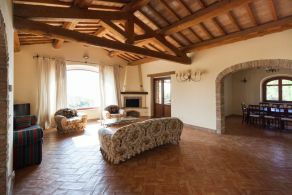 The focal point of the house is its spacious living room measuring around 50 sq.m, which features a high ceiling with truss beams, a fireplace and a large panoramic window with view of Todi. The living room is connected to the dining room and kitchen and opens directly out into a 16 sq.m portico, ideal for outdoor dining overlooking the view and the swimming pool. 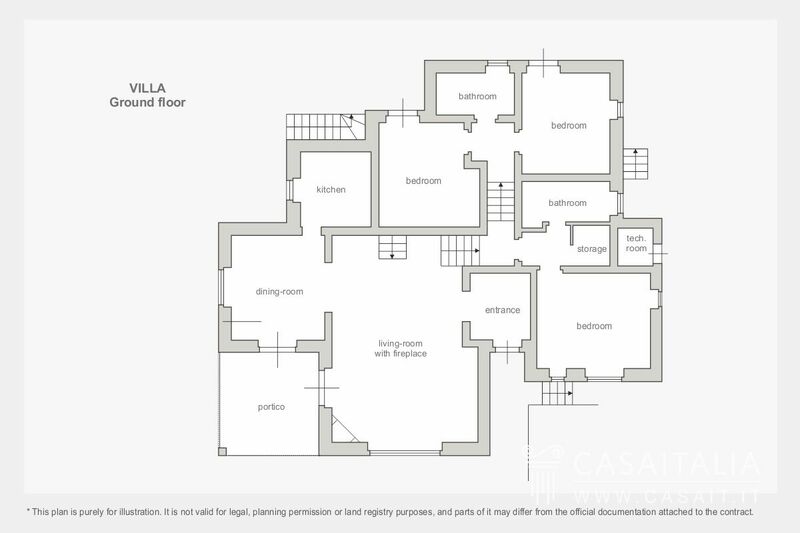 The ground floor is made complete by the sleeping quarters comprising three bedrooms and two bathrooms. 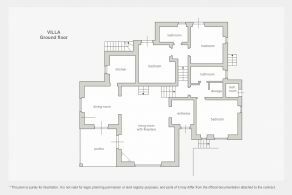 On the basement floor there are several utility areas for the property, six large storage spaces, the laundry, a bathroom, a storeroom, the 22 sq.m garage which is connected internally to the house, and a technical area with outdoor access. 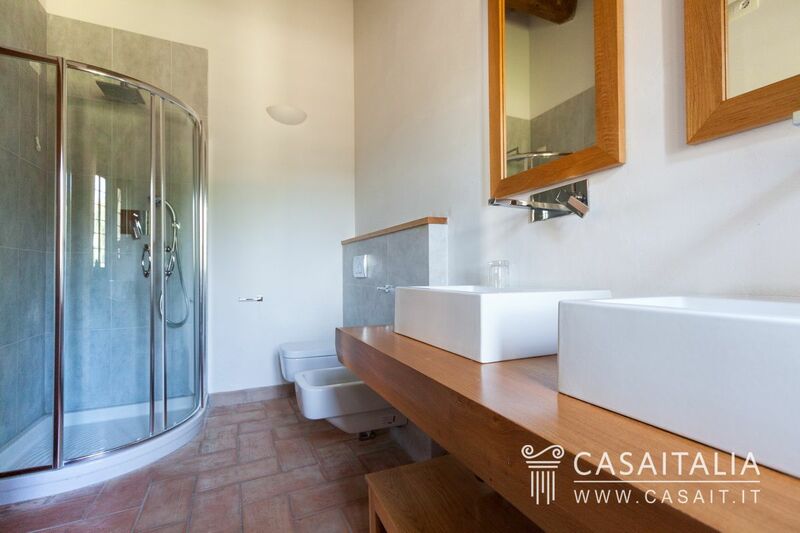 The farmhouse has been fully restored from its foundations, using the original stone and other traditional materials used in Umbrian farmhouses: floors made from handmade tiles, wood beam and tiled ceilings and exposed stonework exteriors. The bright rooms all have direct access to the garden. 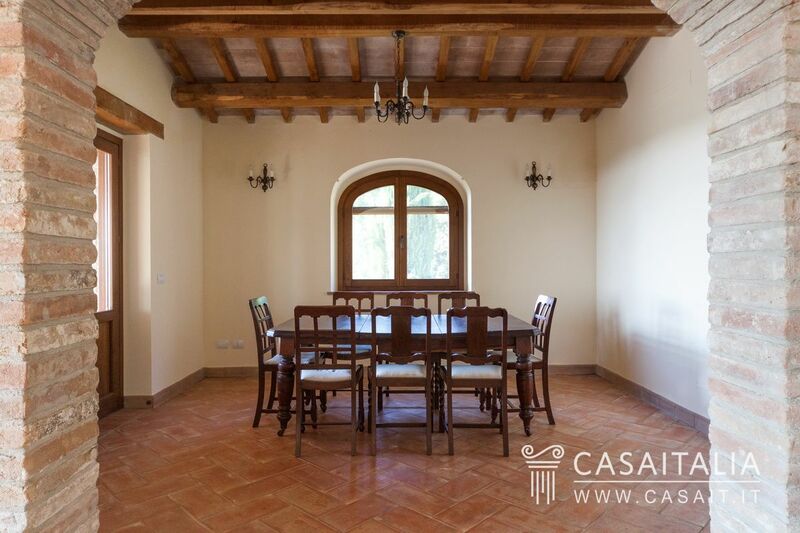 In the living room, which features a ceiling with truss beams made from chestnut wood, there is a large panoramic window which provides a magnificent view of Todi. The house is surrounded by over a hectare of private land, with around 2000 sq.m of pretty, landscaped garden and the rest with olive trees. 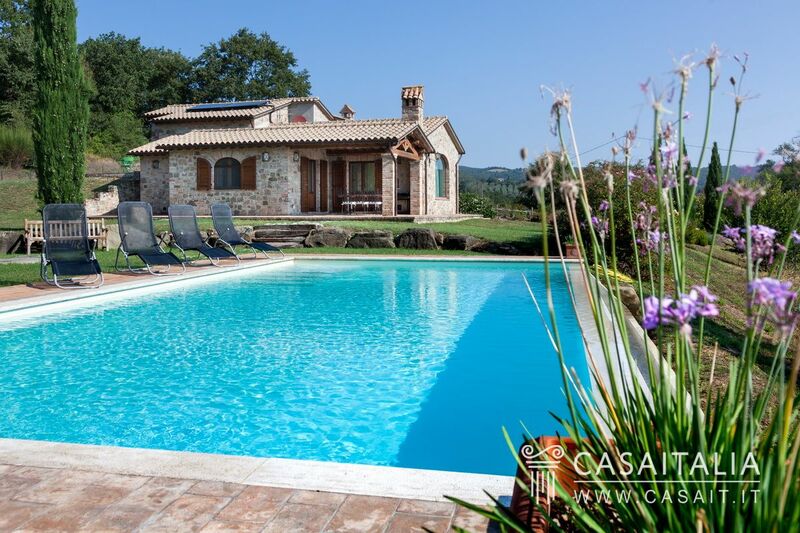 Next to the house there is an infinity pool measuring 5x11 metres, with view of Todi. 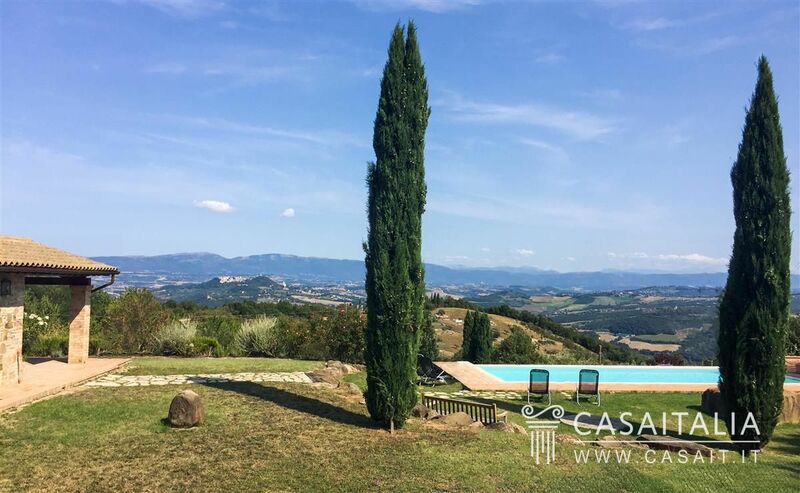 Due to its convenient, unisolated location just 10 km from Todi, Casale del Sole is a perfect holiday or weekend home for those coming from Rome (around an hour and a half away). Its central location in relation to Umbria’s main historic centres (Todi, Orvieto, Perugia) and the great connection with Rome and Tuscany make it the ideal starting point for day trips to discover Central Italy’s art cities and villages. The property would also be an ideal investment to be placed on the weekly holiday rental market while not in use. 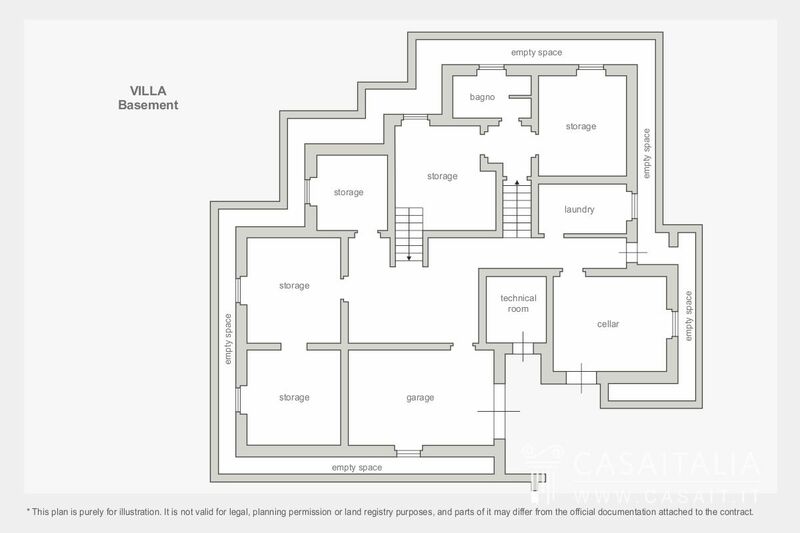 Property with terrace, guest apartment and parking in the centre of Orvieto.